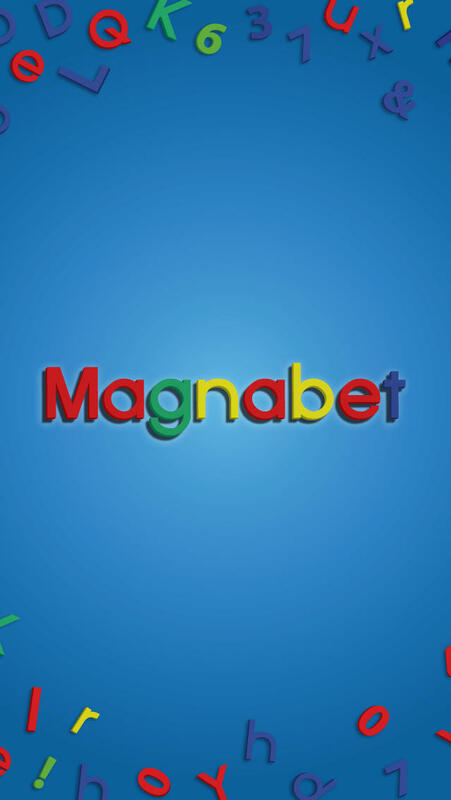 Magnabet is a simple tool that acts like a magnetic alphabet. 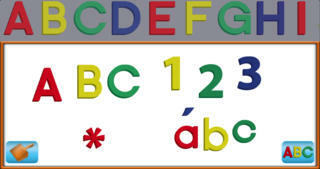 You can teach your child letters, words and numbers without ever losing any of the magnetic pieces! The presentation is very clean and simple. The app works best for toddlers who are beginning to learn numbers and the alphabet and also very early primary year’s pupils. The app receives a 4 Star EAS Certification. Magnabet is an app that mimics a magnetic board and magnetic letters. The letters are in upper case and lower case and are displayed in alphabetical order. There is also a numbers feature showcasing numbers 0-9 and a series of symbols that could also be used for adding, subtracting, multiplying or dividing. We liked the simplicity and quality of the app. The pricing is very clear and there are no extra in-app purchases. As the app has no set exercises or levels to work with within the app, you can use the app as creatively as you like in order to drive home the concepts that you would like; From learning the fundamentals of the alphabet and numbers to learning how to read, write and perhaps even begin to add or subtract, the app has the freedom for you to make learning as easy or as difficult as you wish. This is both a pro and a con as it means that if your child is still learning the alphabet and numbers, you will need to sit behind him/her and teach the basics of numbers and language. If your child is more advanced, you may have to ask him/her to spell things or use the numbers to begin in order to squeeze the most out of the app. The quality of the app is very good and there is the opportunity for sitting down and working/playing with your child in a more traditional way. In a world way sometimes digital can make people work more individualistically, that can also be a good thing. The app is great value for money and we had a lot of fun using it. Have fun playing with virtual magnetic letters right on your iOS device. Never worry about losing a letter or running out of them! The best part is that clean up is just a tap or swipe away. This application has been toddler tested; simple is fun. Touch on the letter of choice and drag away. Remove a letter by dragging it to the edge of your device, or touch the dust-pan button to clean everything up. No settings to change, no advertising and no popups of any kind - designed for true education!